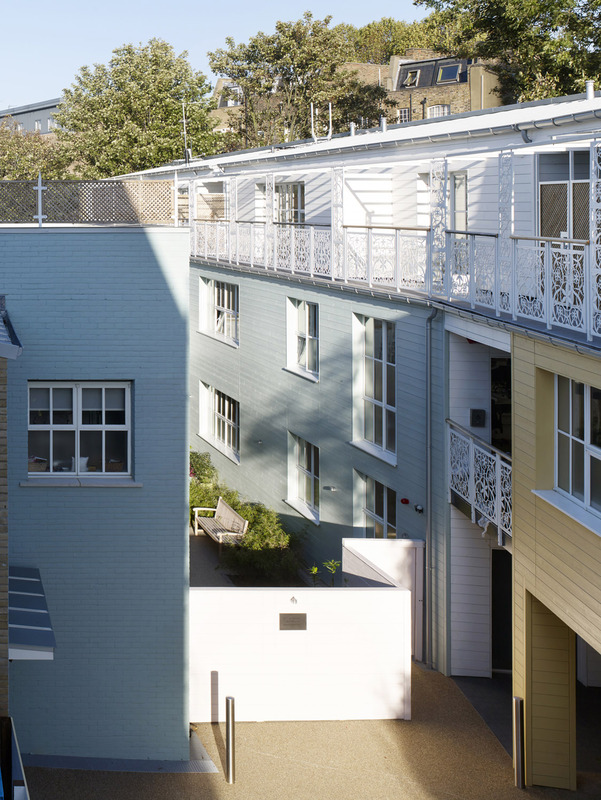 A redevelopment to create seven flats, two houses and three office units from backland workshops behind suburban streets in Highgate, London. New workspaces are located to maintain privacy across this intimate space. A key criteria in the design of these apartments was to make the largest possible living areas. Every home is entered directly from the courtyard, with open stairs to upper levels and a bridge making a dramatic connection between the buildings. No space is wasted on circulation - the front door of the flats opens directly into an open-plan living space, with large windows on both sides. 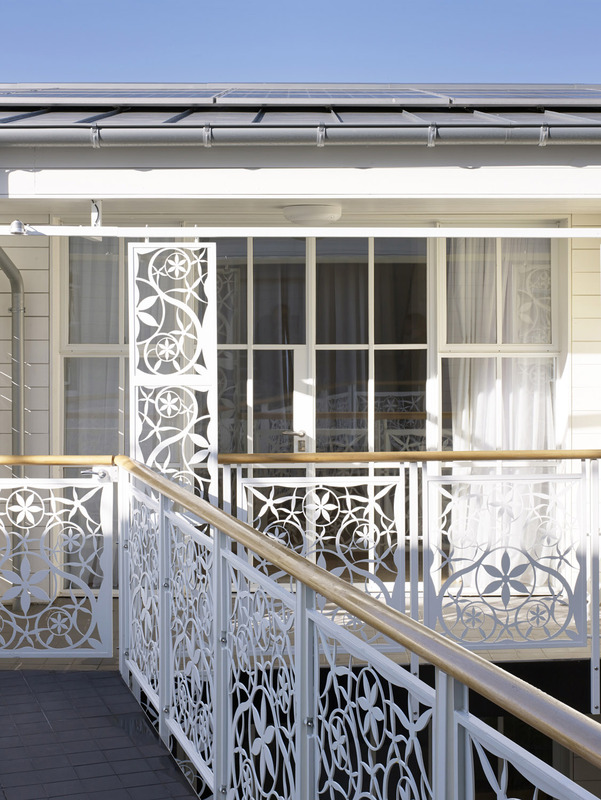 Colours and decorative steel balustrades add warmth and detail. An innovative construction using CLT. Backland courtyards are commonly found in the middle of residential blocks in London. Piano Yard is one of these, originally a group of Victorian piano workshops, crowded around a small courtyard, completely surrounded by the back gardens of the neighbouring streets. 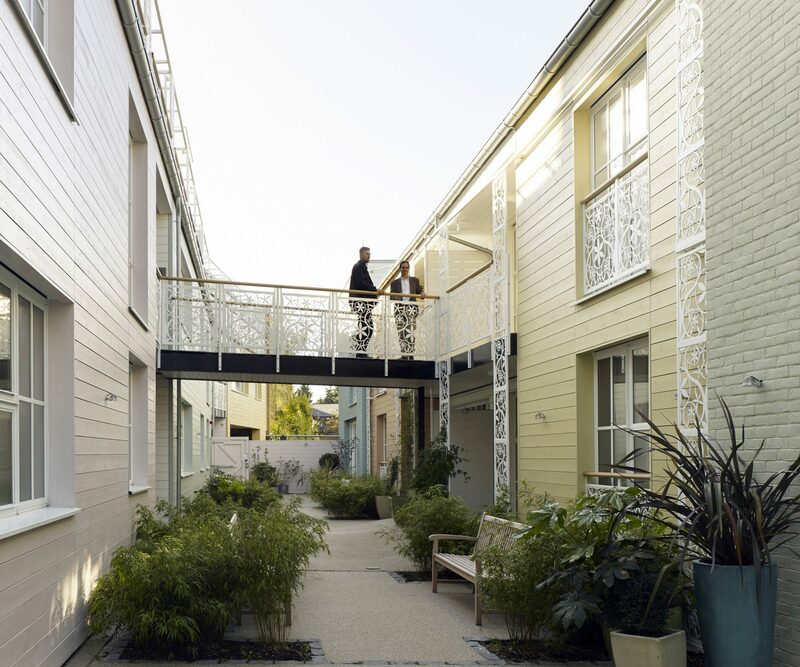 Keeping the same general form, we designed a new development of flats, houses and offices, taking advantage of the restrictions of the site to focus attention on the courtyard garden. 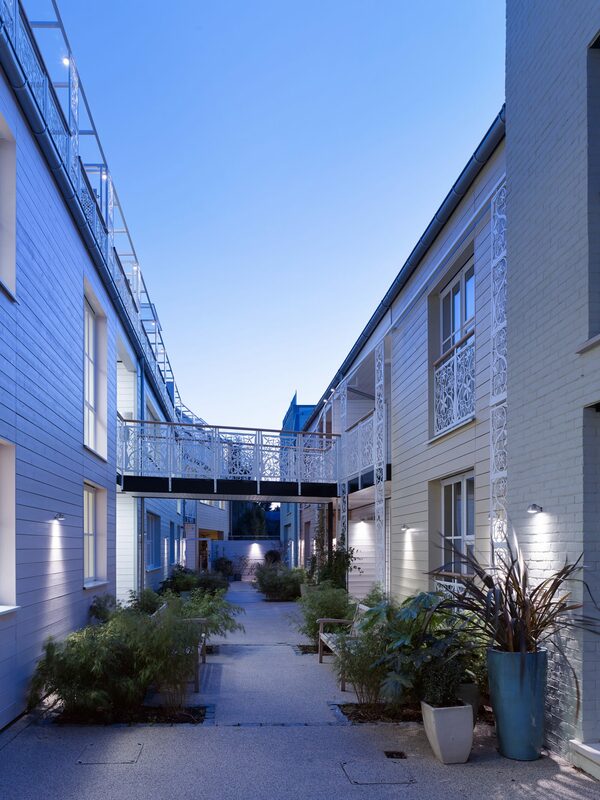 The client was keen to create a unique development incorporating the detail and colour of nearby historic streets, reinterpreted in a contemporary way. Together we created a palate of complimentary colours for the painted timber and brickwork enhancing a special place to live and work. Bespoke decorative metal balustrades, laser cut from steel sheets. Providing an intensity of detail all around the courtyard. Winner of Best Small Development, Evening Standards Small Homes Awards. Shortlisted for the Camden Design Awards.